Motosports in general is a relatively new sport in Nepal and its popularity has been growing steadily in the last decade. Yet, in this short span of time, lady riders have managed to carve a place for themselves in this sport. Living talks to four of these outstanding lady riders who have pulled off remarkable achievements in their own respective fields. When you think of bikers what do you see? Men in black leather jackets! Try again! In a country like Nepal, where it is unusual to see women riding motorcycles, a handful of women are challenging all preconceived notions and earning fame in a sport mostly perceived as a manly pursuit. Riding bikes is often considered more of a “boy’s thing” in our society but according to Dipesh Shrestha, a pioneer in training and getting girls involved in motorsports, we are now seeing more and more women taking part. This is mainly because women are starting to recognize their own ability and partially because of the rapid development of motorsports in Nepal. Various events like stunt shows, races, Women Empowerment in motorsports Rides, Female Ride Day, Lady Saturday Ride Nepal, Safe Ride Saturday Ride, National Training for Lady Riders and Train the Trainee programs are also helping women become more and more involved in Motorsports. Getting women involved in Motorsports initially was challenging. Dipesh remembers having to personally convince parents to allow their daughters to ride. And beginners often need a lot of motivation from their near and dear ones along with knowledge on safety and technical know how. But the situation has improved as more and more lady riders are showing up and entering the Moto world. There are still some challenges for lady riders in Nepal, due to preconceptions of the Nepali society and a girl’s family. But this obstacle is being eroded gradually. We are now seeing a lot of hype around this sports as well as proud families cheering their daughters on from the sidelines. Dipesh himself feels proud to see his former trainees doing well and has high hopes for better opportunities for lady riders in the coming days. Motorsports is incredibly welcoming to women. And not only does the sport help personal development, it also works as a great confidence building exercise. 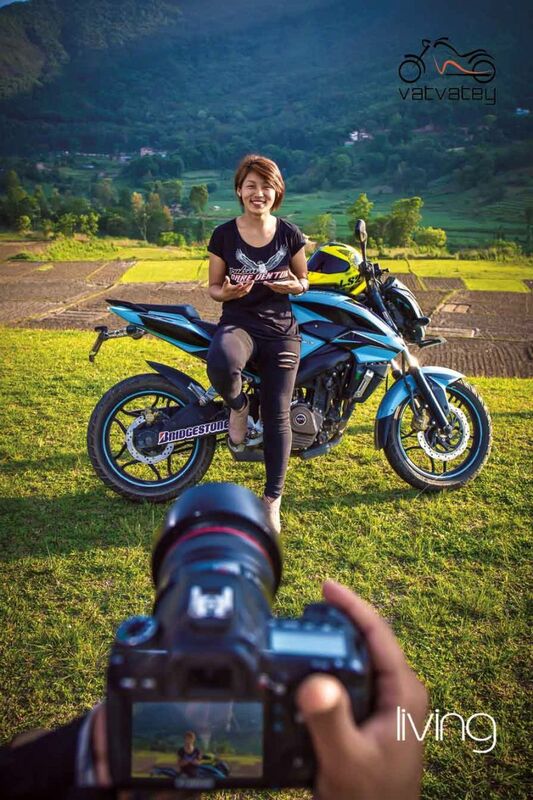 Dikshya Shrestha, in the last few years, has already made quite a name for herself in the field of motorcycle racing. This young woman from Dulikhel has already won major competitions like Honda Diva Cup and Racemandu 2. She won Race Nari 2016, the first ever women’s national bike championship in Nepal and successfully defended her title this year as well. She also participated in Asian Talent Cup 2016 in Malaysia. From a very young age, Dikshya was more interested in bikes and cars than Barbie dolls. Riding bicycles and motorbikes was a hobby for her since childhood. This easily translated to her wanting to ride bikes later on in life. For her, riding represents not only a sport and an interest, but also adventure, learning, independence and a healthy rebellion. The decision to become a rider was all hers, and one which she embraces wholeheartedly. According to Dikshya, motorsports is incredibly welcoming to women. And not only does the sport help personal development, it also works as a great confidence building exercise. After all, there is nothing that makes you feel you can do anything like racing a dangerous machine across a finish line faster than all your rivals. Nevertheless, she still thinks there are negative stereotypes to overcome. “The biggest stereotype in sporting history is that “all women’s sports are inferior to men’s sports” which is not true at all,” says Dikshya. She further adds that she herself used to face such comments when she first started racing and performing stunts. But since she has proved all her detractors wrong with her accomplishments, she feels vindicated. However, she still believes that it is “not the end”. There is still more we need to do to prove that women can perform just as well as men in sports. Throughout her racing career, she has faced many highs and lows. Her most memorable moments include winning her first race. “It was obviously a memorable and emotional moment for me,” says Dikshya. And not only was the moment memorable, it started her off on a journey which led her to win several national races giving her the opportunity to participate in international level races as well. Another memorable moment for Dikshya was participating in the Asia Talent Cup 2016 which was held in Malaysia. It allowed her the opportunity to race with international players as well as on the stunning racing track in Sepang International Circuit in Malaysia. This, she reckons has been her biggest achievement so far. 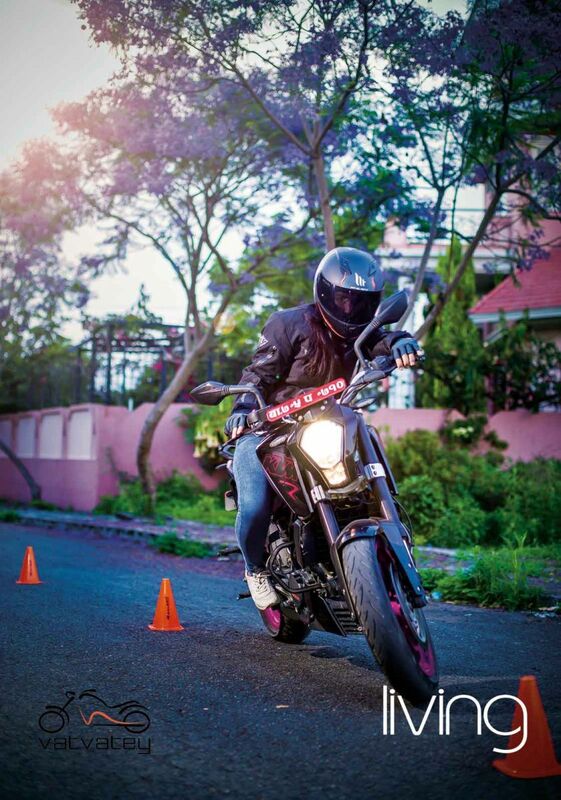 Despite all the advancements for women in motorsports, Dikshya thinks there are still many barriers that women need to knock down before they can be as successful as they are capable of in this field. A major challenge is the prevailing gender stereotypes prevalent in the Nepali society. Breaking down these gender stereotypes is not going to be easy. Additionally, convincing parents and family to allow them to engage in biking is still an issue for many women. Women need better leadership within the community for them to grow in motorsports. According to Dikshya, motorsport is not just about riding with safety. “We need better awareness about safe riding which includes traffic rules, vehicle maintenance and cleanliness,” She adds. Does she recommend racing to her fellow women? The answer is a resounding ‘Yes!’ “As far as my experience in motorsports is concerned, my aim now is to encourage more women to participate in motorsports which will certainly build up their confidence and skills,” concludes Dikshya. Although I did not win, that one week journey of Pulsar Dare Venture was something else. Being a female rider and getting into the Top 5 was quite a proud moment for me. Sapana Gurung first started riding bikes soon after finishing her SLC and she has never looked back. “I used to love riding bicycles as a kid. And right after my SLC I started to learn how to ride a motorcycle. I would ride once or twice a week on my uncle’s bicycle until I decided that I preferred riding a motorbike. Other people would look at me and say things like, ‘Oh, a woman riding a bike!’ and it made me even more determined to ride bikes,” she says. Although Sapana has been riding bikes for quite a while, her real biking career did not start until she participated in the Pulsar Dare Venture season 2. “It was my first venture into biking.” reveals Sapana. Although she knew that people raced bikes and did stunts in Nepal as well, she had not participated in any such event until Dare Venture 2. “There was an element of fear as well. People were being eliminated all around you. But I never lost hope. Being a female rider and getting into the Top 5 was quite a proud moment for me,” recalls Sapana. So what’s the appeal of biking for Sapana? “Men riding a bike is considered normal but a woman riding a bike is something unusual. There is this Indian lady doctor who also rides bikes. Watching people like her, I felt that we can do this as well if we put enough effort into it. It’s all about practice,” she says. Being further involved in the motorsports community has also strengthened her conviction to ride on. “I went to Race Nari for the first time this year. And seeing women who have been riding bikes and racing for a long time, I was amazed. It made me feel like if I try hard enough I can do this as well,“ she exudes. “Usually, the reaction I get when people see me riding a bike is complete shock. A lot of people are still not used to seeing women on motorcycles, but the reaction has not been negative. When I first started riding bikes, I never really saw women riding bikes. But since then, the number has increased a lot. Maybe it will become more common in the days to come,” she adds. Sapana’s interest within motorsports is mostly concentrated on off-road riding, but she likes racing too. However, she feels that without proper tracks and system a career in motorsports may not really be worthwhile in Nepal. “Abroad, riders get training; they have tracks and all kinds of infrastructure. But in Nepal we have none of that. I think it needs to change so that we can encourage more up and coming riders to take up the sport. If we build a good system, I think there is a good future for riding in Nepal,” she explains. For now, Sapana, who is currently studying nursing, has plans to keep on biking while continuing her studies. She plans to continue her involvement in motorsports and if she sees good prospects in biking, she may change her career plans. When you go to the ground to do stunts, it is usually full of boys. You might feel uncomfortable. Your t-shirt might get messed up. But you have to ignore everything and keep doing what you do. 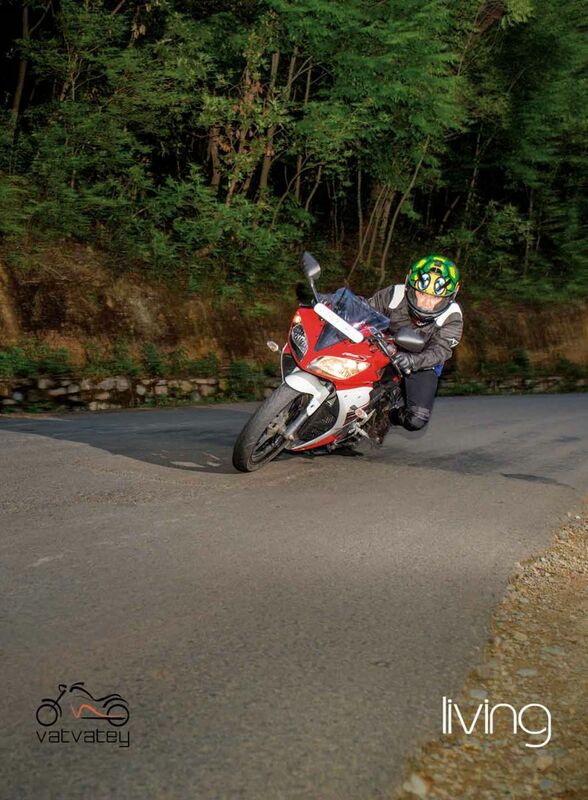 Aarzu Singh Thakuri aka “Lady Rider Tyson” is a typical tomboy. She is carefree and fearless, something that probably helps her in her stunt career. Winner of the Stunt Battle 2016 in women’s category and a runner up in Race Nari 2016, Aarzu has already built quite a portfolio in the field of riding. “I used to ride scooters since fourth grade and I have been riding bikes for a year now. I have always been interested in bikes since I was young,” she says, talking about her foray into motorsports. “My baba is a police officer and he used to do minor stunts. I might have inherited some of my dad’s talent. In fact, my whole family including my mom and my uncles is very much into sports of some kind. So in a way, it has always been in my DNA,” She adds. The story of how she started riding bikes is also peculiar. Until a year ago, she didn’t really know how to ride a bike. “Last year, I found out that Race Nari 2016 was going to take place and that they were going to give bikes for racing. I did not know much about gear shifting etc. but when I went there, I suddenly felt like doing it. My friends thought I won’t be able to do it. They told me to just enjoy the experience. But I ended up coming second. My family didn’t even know I was participating in a race and here I was bringing home a trophy; it was incredible,” remembers Aarzu. Although, she is now known for her riding and stunts, she initially was not so keen on doing stunts. “I had a friend who was really into stunts. In the beginning, I used to tell them not to do stunts or she might break a limb. But later on I started liking it, so I learnt to do stunts as well,” she explains. But we can safely say that injuries are no longer a concern for Aarzu as we can tell from an incident she narrates. “One of my most memorable moments happened while I was learning a stunt. One thing you need to know about me is that I usually don’t feel any fear. Ramesh, a friend of mine, was teaching me a stunt. I managed to stand up while riding my bike. Then, after that stunt, I asked him what I should do next. He told me to try and jump from my bike. I don’t think anyone expected me to do it. But I just started my bike again and jumped off while riding it. I fell down and hurt myself a little bit. But everyone else was so shocked and impressed, they started clapping. They all told me I was completely fearless and perhaps I should’ve been born a boy. That was a pretty unforgettable incident,” she recalls. Aarzu has only been learning stunts for about six months but the progress she has made during this short time seems pretty incredible. She is part of a group called Madhyapur Riders where she learnt a lot of her stunts. “Rider Mamo in particular was very supportive as he would lend me his bike so that I could learn stunts,“she says. She is also part of a team called Bikeaholic, which helps sponsor tires and parts for her bikes. She also gets complete support from her home. “My parents are completely supportive of me and my work. They do tell me to ride safely and use protective gear. But besides that I have never felt stifled by my family. We don’t worry about small scrapes and bruises that are commonplace in stunt riding,” She says. “Since my childhood days, I was a bit jyango. I was never afraid of anyone and I would often fight with boys. My family would call me Tyson, a name my grandmother gave me. So, my family does not have any problem with me being in a masculine sport,“she adds. Despite all her achievements, there are still many struggles that she has to face while riding or doing stunts. ”When you go to the ground to do stunts, it is usually full of boys. You might feel uncomfortable. Your t-shirt might get messed up. But you have to ignore everything and keep doing what you do. Your hands get calluses, you need constant repairs and you don’t have an income so you have to rely on your parents every time you need something,” She laments. Nowadays there are so many events being organized which give us female riders more opportunities. It is also a means of earning money, which really encourages riders. If you’re unfamiliar with motorsports in Nepal, you probably have not heard of Gymkhana. To the uninitiated, Gymkhana is a kind of trial course that riders go through before a race. Whoever finishes this course fastest without tipping over a cone or having their feet touch the ground, wins the competition. In Nepal, there have been five gymkhana competitions till date. And in all five of those Gymkhana competitions, there has been only one winner in the women’s category – Barsha Basnet. Barsha first got involved in professional biking four years ago after finishing her +2 exams. In 2013, she had participated in Honda Diva Cup, where she was declared second runner-up. It was there that she was first introduced to riding and other riders. “Initially I was part of this group called Riders Unified, where I trained for a year. After that first year, I started participating in different races like Racemandu,” she says, talking about her early days of riding. 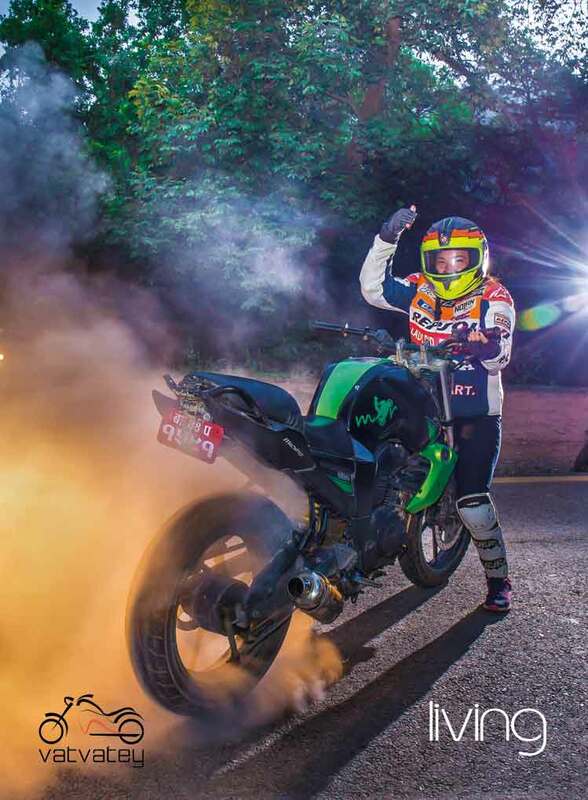 Nowadays, she is part of a riders group called Riders of Bhaktapur, where she learns both stunts and racing, although she is more focused on racing than on stunts. Even before she became involved in motorsports, she used to ride scooters and bikes on a regular basis. “I first learned to ride a scooter when I was in grade 8. Then in grade 9, I learned to ride a bike. After my SLC exams I bought a scooter and just this year I bought a bike,“she informs. Her childhood also played a major role in shaping her into a lady rider. “Ever since I was a kid, I have always been a tomboy,” she reveals. “My dad had three daughters and he had decided that he was going to bring up his youngest daughter as a son. And so I would always hang around my dad. Most of my friends were boys. If I saw guys playing football or basketball, I would go and join them. Even before I had a license I would race boys on my scooter. I always liked to challenge boys. I always believed that anything a guy can do, I can do it too. So that really shaped me into who I am today,” She explains. It was racing that first brought her to Gymkhana. The first Gymkhana ever organized in Nepal was by a club called Everest Motorbikers. It took place in 2015 after the earthquake in order to collect funds for earthquake victims. In this event Barsha won the Gymkhana competition. The next Gymkhana competition was held in the initial stage of Race Nari 2016. After that, another Gymkhana competition took place as part of the International Female Ride Day 2016. The fourth took place in Dharan during Moto Gymkhana Rampage 2016. The fifth and final Gymkhana competition took place in the initial stage of Race Nari 2017. In all of these competitions Barsha always came first. Despite her achievements, it is still relatively unusual to see women riding bikes and it was apparent in the reactions Barsha got when she first started riding bikes. “Nowadays, many people have recognized me as a lady rider and it’s becoming very common. But in the beginning, guys would be absolutely shocked to see a girl like me riding a bike. Back then I used to use a scooter helmet which made it even more apparent that I was a girl. But nowadays I use a full helmet and full safety gears, because of which many people don’t know that I’m a girl. And those who do know are already used to seeing lady riders,” she says. So are there any hurdles that lady riders have to face out there? Barsha thinks so, but she also acknowledges that things are improving very fast. “Just being a woman, there are many hurdles that you have to face in life. Although many people you meet are very supportive and encouraging, there are still those who don’t like seeing a woman ride a bike. On top of that, I ride a Duke, which is a dream bike for many young guys today. So in the beginning I did get comments like “ keti bhayera kina chalaunu paryo”, “k furti dekhako” etc. My own dad used to ask me why I needed to ride a bike. He would get worried that I might get injured or what the society might say about me,” she says. “But things have started changing. More and more women are now involved in this field. On top of that, when you start getting praised and featured on newspapers, it really helps to change opinions. Nowadays, riding has become very popular. People talk about it a lot. Our presence on social media is also very strong. Especially, as a lady rider, you get a tremendous amount of support from other riders and organizations like NASA. So, even the naysayers have started changing their minds,“she explains. “Nowadays there are so many events being organized which give us female riders more opportunities. It is also a means of earning money, which really encourages riders,” says Barsha although she does not think it is possible to earn a living solely as a rider yet, but she is optimistic about the future.